Take 110 North (passing the Downtown area) to the 101 North. Exit Highland Avenue (Stay on right-hand side of the freeway as exit splits). The street winds down and becomes three lanes towards Hollywood Bowl. Turn left onto Highland Avenue, you will then see the Hollywood and Highland retail complex. The parking structure is on Highland Avenue next to the Renaissance Hollywood Hotel, north of Hollywood Blvd. Nearest Cross street is Hollywood Blvd. & Highland. Take 101 South. Exit Highland Avenue. The street winds down and become three lanes. 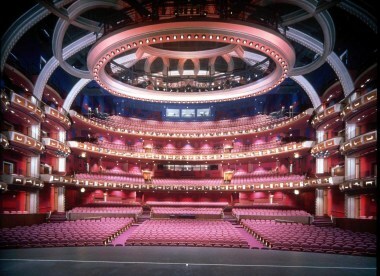 You will then see the Hollywood and Highland retail complex. The parking structure is on Highland Avenue next to the Renaissance Hollywood Hotel, north of Hollywood Blvd. Nearest Cross street is Hollywood Blvd. & Highland. Take 10 East to 110 North/Downtown (passing the Downtown area) to the 101 North. Exit Highland Avenue (Stay on right-hand side of the freeway as exit splits). The street winds down and becomes three lanes towards Hollywood Bowl. Turn left onto Highland Avenue, you will then see the Hollywood and Highland retail complex. The parking structure is on Highland Avenue next to the Renaissance Hollywood Hotel, north of Hollywood Blvd. The nearest Cross street is Hollywood Blvd. & Highland.